In a little over two months, I’ll be packing my bags and heading to Ft. Wayne, Indiana, for the FGS 2013 Conference. The Federation of Genealogical Societies has assembled an impressive line-up of speakers and events for this year’s conference, and I’m really looking forward to it. 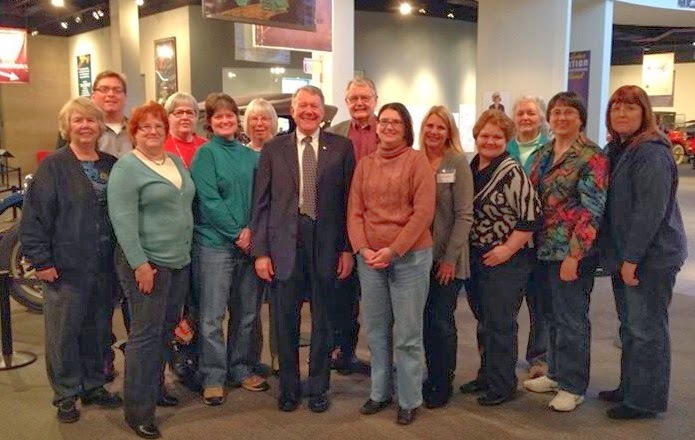 A few weeks ago, in “Why Attend a Genealogy Conference?,” I talked about my reasons for going to conferences, particularly FGS 2013. 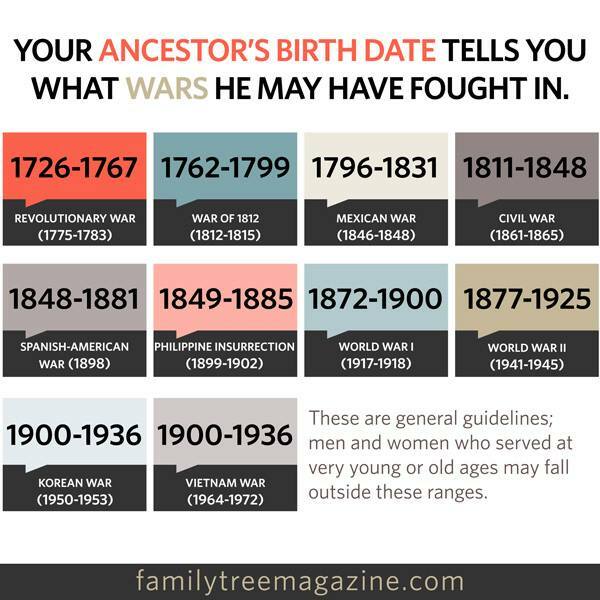 As the August 21 start date is getting closer, I’m thinking more and more about how I’ll use my time in Ft. Wayne to help my genealogical research. First off, I want to learn more about my ancestors. 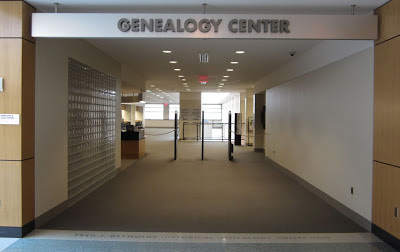 I have to admit that the Genealogy Center at the Allen County Public Library (ACPL) is a huge draw for me. I’ve only been there once, and didn't come close to getting through everything I wanted to do. If you haven’t researched there before, you’re in for a treat. 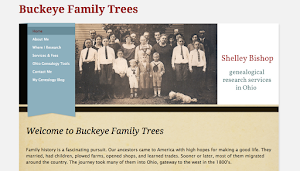 Their collection is amazing—resource books from every state in the U.S. and around the world, a ton of family histories, loads of microfilm, and all the periodicals that make up the PERSI index. It’s all easily accessible and laid out quite logically, so you can quickly get down to work after a short introductory tour. 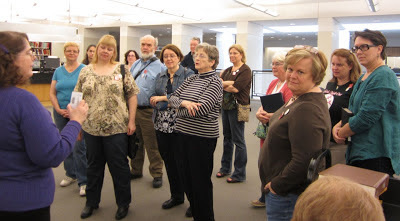 If you have any questions as you go along, the friendly Genealogy Center librarians are right there to help you out. 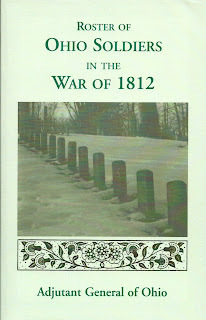 Harold Henderson has written a helpful guide to ACPL, Finding Ancestors in Ft. Wayne, that you can download for free on his website, Midwest Roots. Over the next few weeks I plan to scour the ACPL catalogs and databases he describes and come up with a research battle plan. I especially want to spend some time on PERSI (Periodical Source Index) and make a list of articles in genealogical journals, newsletters, and magazines to look at. I’m driving to Ft. Wayne on Monday morning, even though the conference doesn’t start until Wednesday, so I can have extra time in the library to research. The Genealogy Center is staying open until midnight for three nights of the conference, so I’ll probably hang out there some evenings, too. Whew--and I’ve just scratched the surface! I haven’t even mentioned the Military, African American, Ethnic Origins, NARA/Federal, and Religious Communities tracks, or any of the society-oriented tracks. I can see I’ve got my work cut out for me trying to reach some decisions between now and the third week of August. Take a look at the daily program schedule for yourself, and you’ll see what I mean. The FGS 2013 Conference will be held at the Grand Wayne Convention Center from Wednesday-Saturday, August 21-24. If you haven’t registered yet, now is the perfect time. Special early bird discounts are in effect until July 1st. You’ll save $50 on the full conference and $20 on a single day if you sign up by then. Visit the conference website at https://www.fgsconference.org to register. Oh, and be sure to subscribe to the FGS Conference Blog for helpful tips and recommendations. 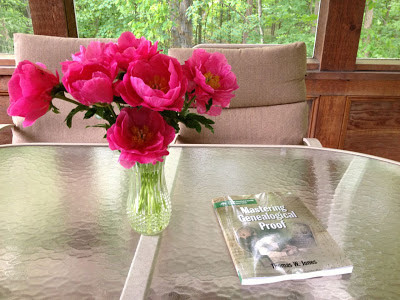 It’s the best way to stay up to date and find out about things, like Paula Stuart-Warren’s recent post, “The syllabus is the key to the presentation.” Scroll through the index to find lots of good stuff. But enough about me. What do you hope to learn at FGS 2013? 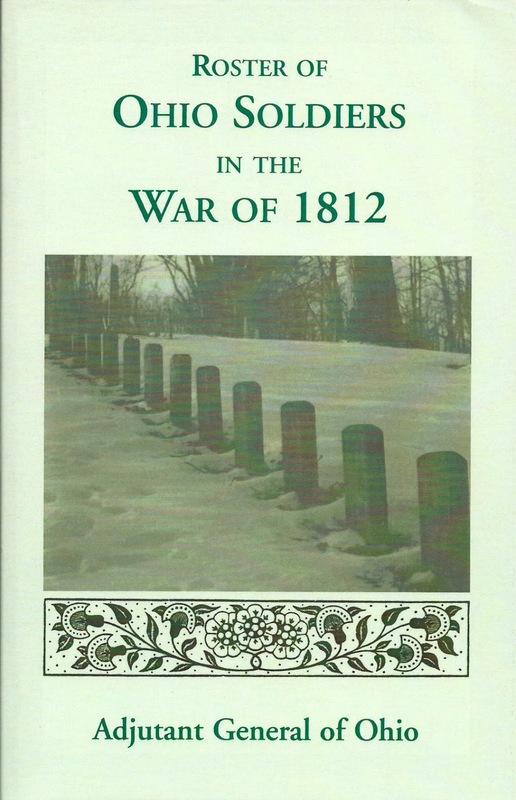 Loudonville Cemetery is the final resting place of many members of the Sanborn family, who migrated to Loudonville, Ohio from New Hampshire before 1840. This stately gravestone marks the burial place of Joseph Haven Sanborn, born 13 January 1831 in Plymouth, New Hampshire, to parents Jeremiah B. Sanborn and Clarissa (Smith) Sanborn. Joseph was a railroad ticket agent for many years. 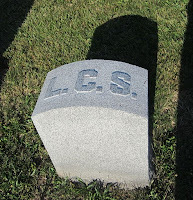 He died in Loudonville, in Ashland County, on 24 August 1895, at the age of 64. The marker, which bears the inscription "Blessed are the Dead, who die in the Lord," honors Joseph’s wife and daughter as well. Clarissa Annah “Clara” Smith (who usually went by Clara, possibly to avoid confusion with her mother-in-law) was born 6 January 1838 in Loudonville. She outlived her husband by many years, until 30 December 1913. The couple’s little daughter, Laura Clarissa Sanborn, was born 22 August 1870 and lived only five months, dying on 25 January 1871. Like her father and mother, she has her own little marker showing her actual location in the family plot. 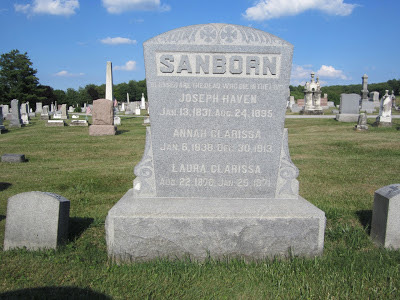 Joseph H. and Clara Sanborn had three other children, who all lived to adulthood: Haven Levant Sanborn, Mary Asenath Sanborn, and Gilman Stanton Sanborn. None of them are buried in Ashland County. Loudonville Cemetery sits on a hill not far from the center of town, and is well tended. It’s a pleasant spot in which to reflect on some of my husband’s early Ohio ancestors on a summer day.